Are you looking for the finest accommodations in Northeast Louisiana? Do you want a Bed and Breakfast that is the best choice? 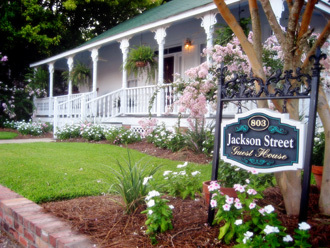 Jackson Street Guest House is the most wonderful choice for a bed and breakfast in Franklin Parish. 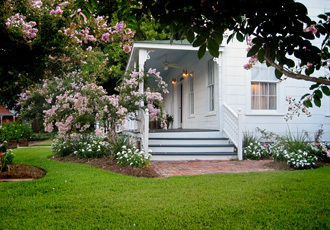 The bed and breakfast, also know as B&B, that we offer is the finest in Winnsboro, LA. 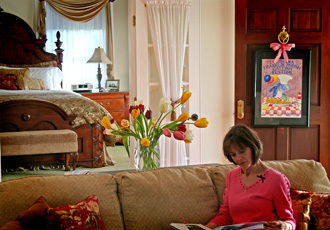 We offer the finest B&B in Winnsboro. In many years of traveling, we have rarely stayed in accommodations as beautifully and thoughtfully arranged as these. Copyright ©2008 Jackson Street Guest House. All rights reserved.